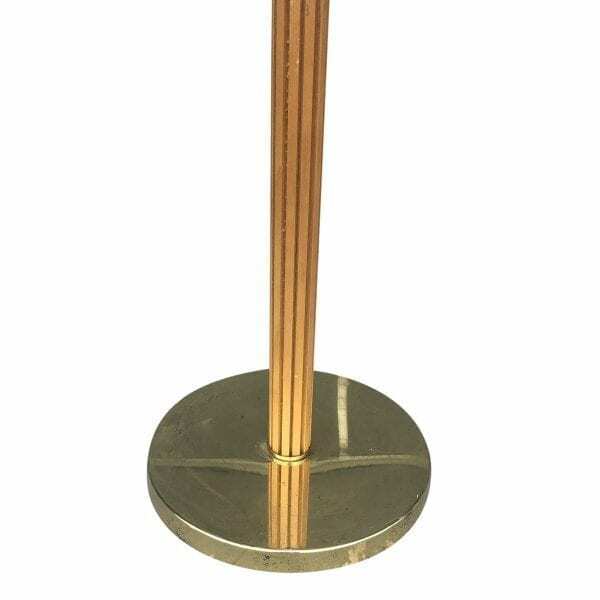 A very elegant floor lamp made out of a round brass base and a wooden column. Designed by Hans Agne Jakobsson, produced in Sweden by Hans-Agne Jakobsson AB. Model C 3174.4, Lot Nr. PRDNR 10262. Wear consistent with age and use. Circa 1955 – 1960, Sweden. Hans Agne Jakobsson was a Swedish designer born in 1919 Havdhem, Gotland, Sweden. Jakobsson finished his apprenticeship as a carpenter and after he went to Gothenburg, Sweden to study architecture. When Jakobsson finished his studies, he started working as an industrial designer for General Motors. Later on, he started working as an assistant for the Swedish designer Carl Malmsten and Werner West. In 1951, Jakobsson founded Hans-Agne Jakobsson AB in Markaryd, Sweden. 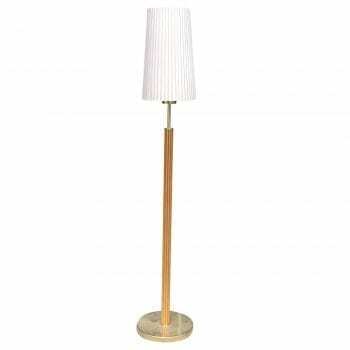 Like Poul Henningsen, the Danish designer, Jakobsson is best known for his dimmed, soft lighting. 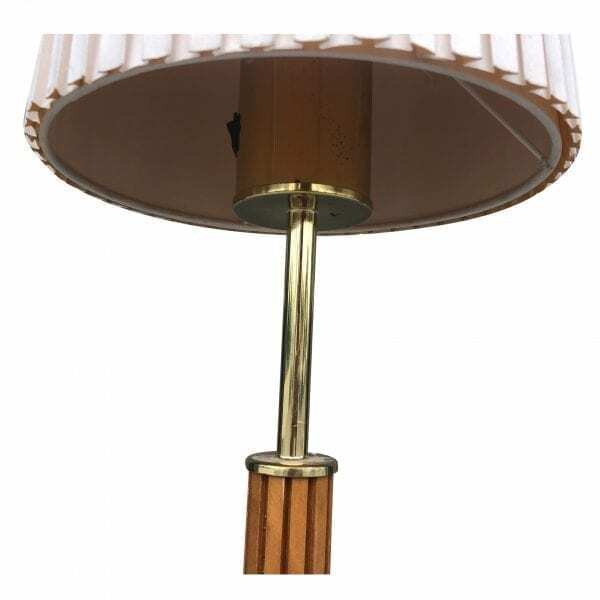 Categories: Period Furniture, Lighting. Tags: BRASS, FLOOR LAMP, Hans Agne Jakobsson, LAMP, MID 20TH CENTURY, Mid Century, SWEDEN, WOOD.